Burning cuttings and smaller branches from pecan and other trees is a convenient way to remove yard debris in rural areas when done safety under high-moisture conditions. Many northern residents are moving South to enjoy a more pleasant climate and reduce living costs. Some relocate to old homes or old orchards containing large pecan trees that may be 20 to 70-years old. These trees will very often shed some big limbs in late Summer. Pecans are members of the hickory family, and this is tough, hard wood. It is best worked up with a chain saw and small hand tools. There is no need to call in an expensive tree specialist to whack up and burn some backyard limbs. 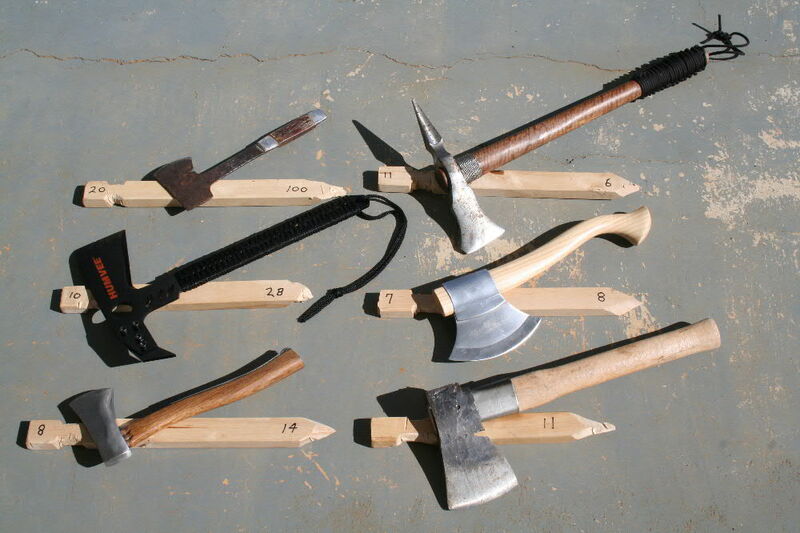 A selection of small cutting tools that might be used for branch trimming. The chain saws that I show in the accompanying video are over 10-years-old and the smaller one had a blade that was just about sharp enough to cut butter, much less pecan, and it really struggled and smoked to make its way through the limb. With a sharp chain, things go much faster. I also had the typical trouble of getting it to fire up for the first time. Read the starting directions, cross your fingers and give it a try. If it does not go, then let it set for 10 minutes or so and try again. My larger saw was balky too. However, after it warmed up a bit it cut very well and made very fast work of 7-8 inch limbs. number of insects such as large black carpenter ants and sometimes even wasp and hornets. 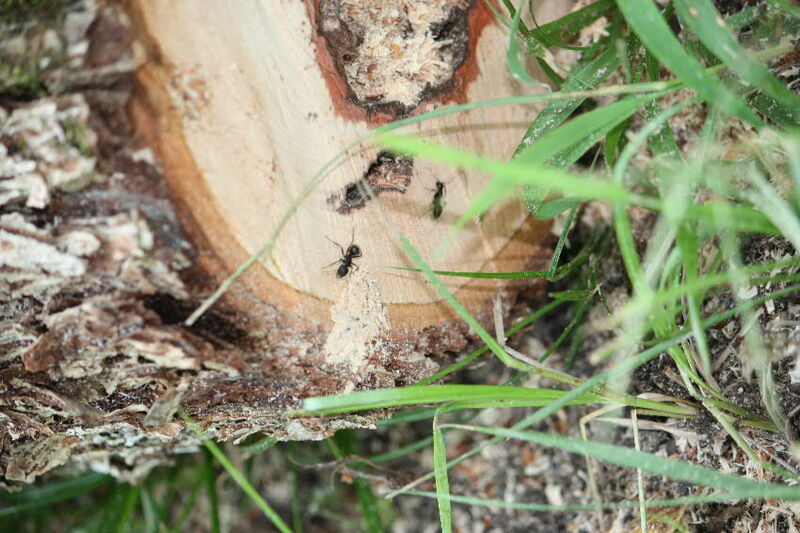 If you hear something buzzing as you move the limbs, it is wise to find out what that is and deal with it/them to avoid getting some painful bites while you are handling a running chain saw. Chain saws give nasty cuts that are painful, easily infected and take a long time to heal. Watch the videos that come with your saws, trim and carry away all of the smaller branches before you start cutting on the main part of the limbs to keep from getting the feet tangled and keep your immediate work area clear. Only one person should be cutting on a limb at the time. It is very easy for these limbs to unexpectedly shift and trap or kick-back a saw blade if more than one person is doing the cutting. The best solution is for one person to cut and another to drag away branches to the burn pile. Pecan wood is very nice for fire places once it dries out, has an excellent heat value in wood stoves and is good for barbeques and smoking. Often I cook entire hogs using pecan wood and always use the twigs for starting charcoal to keep the petroleum products away from my grilled food. Carvers, wood turners and furniture makers also use pecan to produce pens, bowls, carvings and almost anything that needs to be made from wood. I have a burn spot in my back yard. My old trees continuously shed limbs and twigs. When a pile of them and yard trimmings builds up, I wait for a moist day and use my shredded mail and waste cardboard to start the blaze. Even green wood will burn once you have a good bed of coals. I also start my fires early in the morning when the grass/woods are damp and there is little or no wind. It is very easy for burning leaves and paper to be taken up on the hot gasses generated by the fire and ignite dry grass and leaves on the forest floor. As an additional precaution, I also make sure that I have my water hose ready with sufficient length to reach the fire and surrounding area. 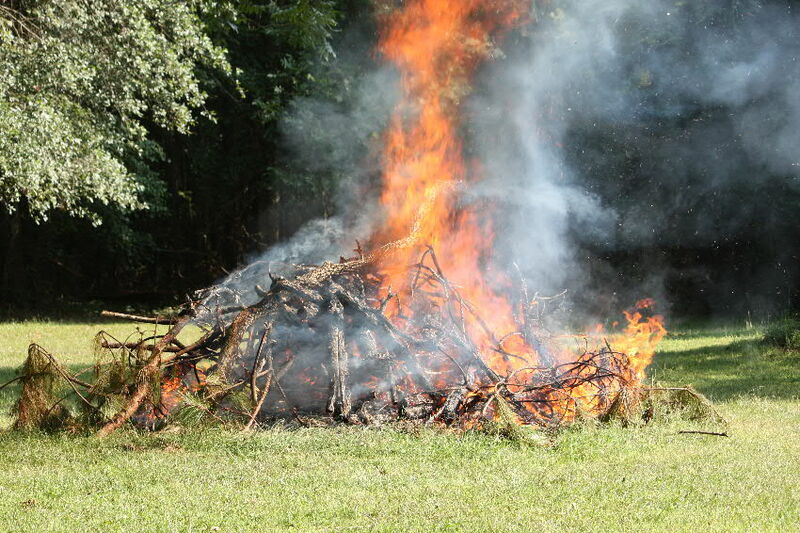 Once the initial burn takes place, I throw the unburnt sticks from the edges into the fire and finally use a rake to push all of the smaller stuff into the middle of the pile so that it will be completely consumed. Fantastic post, I’ve got threefour chainsaws myself, nothing quiet like feeling the power of one as you take down a woodland!